Every day, over 30,000 MSF staff from all over the world work and provide assistance to people in need, of which 86 percent are recruited locally. 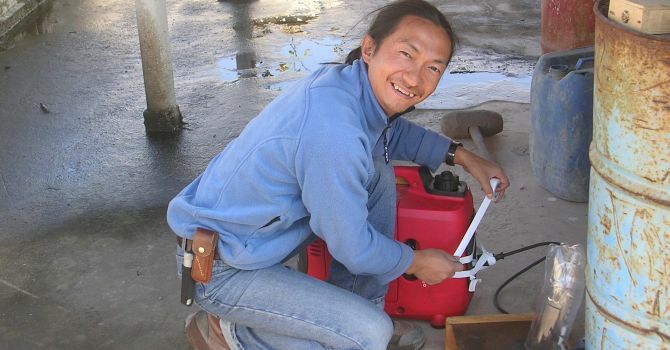 Pan Yuan, a Yunnan born logistician, was himself recruited as a Chinese national staff member and has now become a veteran international fieldworker. He shares his view of the importance of national staff and the ways for the internationals to work more effectively with them. 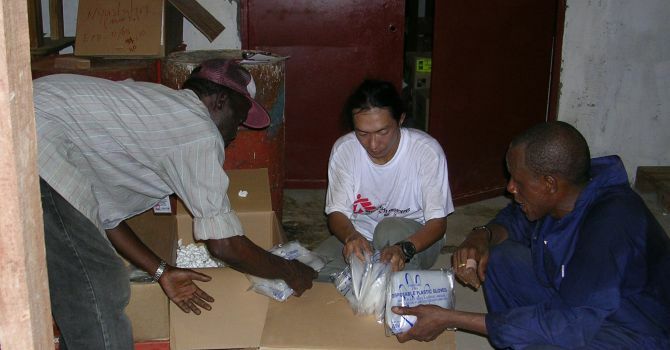 I started working for MSF as a translator and logistician for the Changjiang flood disaster relief project in the mainland China in 1998 .Our team consisted of two Chinese and three international field workers. I remember that when we went to local counties and villages to conduct assessments, local governments did not know our organisation, while our international staff lacked knowledge of local culture. So my role was to bridge the culture difference, improve the understanding and communication between the two sides. I realized at that time that field workers from overseas could bring resources and skills, but still nothing could be done without the support of local staff. The biggest challenge of working with national staff is how to think from a local’s perspective. So before I myself went on any overseas mission, I would read as much background information about the place and the project as possible. When I first arrived at the project, I would observe closely how local people worked and why they worked like this. I would also take advice from local colleagues before making any decision or change. It is also important to respect the local culture. In Myanmar, local colleagues usually do not respond directly if they are aggrieved or think you did wrong, simply because Myanmar people are not good at expressing themselves in this way. They even regard speaking aloud as disrespectful. So I preferred talking to them in informal occasions and gatherings. In Myanmar, one day my two assistants came to me with a problem. Instead of giving them my answer I encouraged them to suggest solutions and to discuss their feasibility. Gradually they gained more confidence, able to work more independently and develop long-term views. I also listened to their future plans and gave them advice. It made me feel proud to see their growth and improvement. I once recruited a young assistant in Bangladesh, and a few years later he has become the person in charge of logistics in a project in Uzbekistan. .
PAN Yuan was the first international MSF field worker from mainland China. He started with MSF in 1998 and has been to Sudan, Bangladesh, Sierra Leone, Uzbekistan and Myanmar as a logistician and later a logistic coordinator. He has been a board member of MSF-Hong Kong since 2008.